This engraved rustic house sign is between 14" and 18" wide, but as the rustic house signs are wood slices that are natural products, the sign will vary in shape and size. The rustic house sign is engraved with up to 20 characters (10 characters on two rows) free of charge to personalise your rustic house sign. 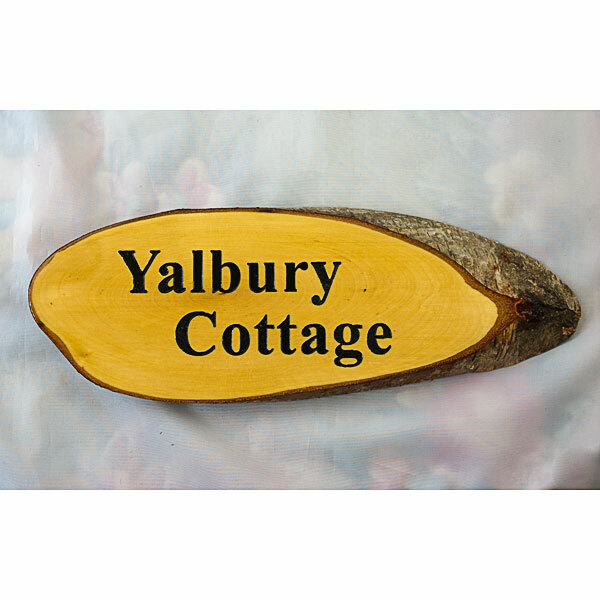 These rustic wood house signs are optionally supplied with screw holes for fixing. The postage rate for the engraved rustic house sign is Band B.